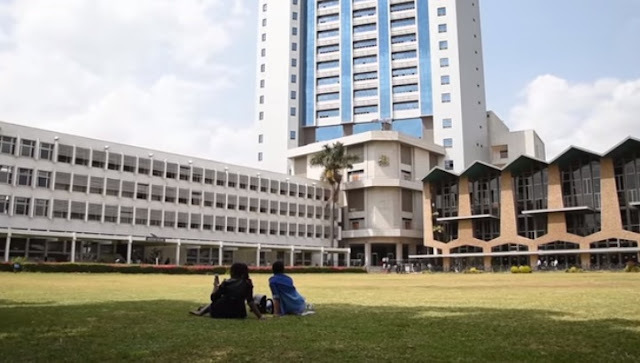 The University of Nairobi, Kenya is one of the best universities in Kenya and its environs with a conducive academic environment and wide array of classes including regular, evening, and weekend programmes. The University is strategically located on seven campuses in Nairobi and environs facilitating easy access. This is the reason behind the institution's registering a busy hub and stronghold of academic activity at all times. The school also offers a wide array of classes apart from the regular, this includes an evening classes, weekend programmes and lessons regularly held at the University’s Extra-Mural Centres located in the following areas; Garissa, Kisii, Kapenguria, Lamu, Lokichogio, Mombasa, Meru, Nyeri and Thika. These different academic programmes coupled with the universities past academic awards have contributed towards the institution being regarded as a top choice for every lover of education. The university has in the past, recorded a tremendous accomplishments in research, teaching consultancy and development while chasing for a more meaningful future as the leader of research, academic and professional excellence. • Module I: This refers to the regular under-graduate programme for Kenyan government sponsored students. Admissions for students in this category are made holistically through Kenya Universities and Colleges Central Placement Service (KUCCPS) past National Joint Admission Board (JAB). • Module II: This is for self sponsored students or students that couldn't meet the Kenya Universities and Colleges Central Placement Service (KUCCPS) sponsorship requirements. To be admitted into this category, students will have to obtain application forms from UNES offices. Admissions for postgraduate students are done by the Board of Postgraduate Studies (BPS). Students can download their admission letters through the universities portal or alternatively visit the UNES offices. To apply for an undergraduate course or master's programme at the University of Nairobi, you can visit the school's official website. Alternatively, you can collect the application documents by visiting the BPS/UNES offices. Already admitted students can create accounts in the school's portal by visiting this link. The institution is currently welcoming all applicants for April/May degree courses. The University of Nairobi has three intakes in an Academic year and the upcoming enrollment is in September/October for all classes while December/ January intake caters for Bachelor of Arts, Bachelor of Commerce, Bachelor of Education (Arts), Bachelor of Hospitality Management, Bachelor of Hospitality and Bachelor of Tourism and Travel. The April/May intake that is currently underway accepting applications for all Diploma and Certificate courses and also the following degree courses. Some of the courses on offer are Bachelor of Arts, Bachelor of Commerce, Bachelor of Education (Arts), Bachelor of Hospitality Management, Bachelor of Arts Broadcast Production, Bachelor of Economics and Statistics. Additionally, courses such as Bachelor of Journalism and Media Studies, Bachelor of Economics, Bachelor of Education Early Childhood, Bachelor of Travel and Tourism are equally open for registration. There are varying minimum admission prerequisites for different courses at Nairobi University. • Bridging Programmes: To pursue any bridging course, one must have a KCSE mean grade C+ or an equivalent or at least a C- in the subject they wish to bridge. • Certificate Programmes For certificate courses, the student must have a KCSE mean grade of C- or equivalent an O level mean score of Division III or equivalent and an A Level qualification with a minimum of two subsidiary passes or equivalent. • Diploma Courses: Diploma applicants must have a KCSE mean grade of C- in addition to a certificate or can have O and A level qualification similar to those of the certificate programme. The certification needs to be from a registered university recognized by the University of Nairobi Senate. Moreover, the certification must have taken at least one semester. • Undergraduate Programmes: For the admission to any undergraduate course, there are various prerequisites as outlined below. One can have any one of these minimum qualifications. 5) level Division III or Higher National Diploma in the related field and a KCSE C mean grade or level candidates with two first passes or equivalent ion the related fields or a degree from any authorized university. Please note that students from non-English speaking nations must have a certificate of proficiency in English alongside any of the above requirements.